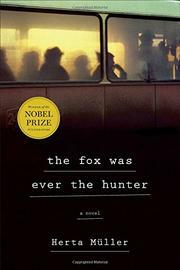 Atmospheric, lyrical novel from Nobel Prize–winning writer Müller (Traveling on One Leg, 1998, etc.) of life in Romania during the closing days of the Ceausescu dictatorship. An essential work of post–Iron Curtain literature and a harrowing portrait of life under suspicion.